Last week we here at Pick-it had the opportunity to get our hands on a Franka cobot for a few hours. 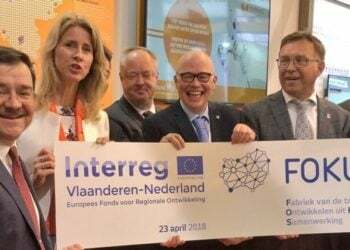 Robbin Mennings of WiredWorkers, the benelux distributor of the robots, was kind enough to share his views on the opportunities for cobots and 3D vision. 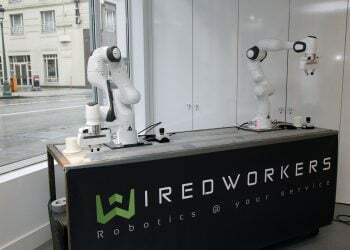 Cobots, or collaborative robots, have been gaining interest in the world of robotics for some years now. Both established powerhouses such as Universal Robots and emergent companies alike have invested heavily in this new part of the market. The German collaborative robot Franka has been turning heads for a while now, so we jumped at the opportunity to see it in action first hand. And we weren’t disappointed: the cobot even put smiles on our engineers’ faces upon seeing that a gentle touch can start and – more importantly – stop the robot. Therein lies the innovation of Franka. Where most industrial robots have no force-sensing capabilities at all, Franka measures forces in all its 7 joints, allowing it to detect and react to even the smallest impact. The improved safety for factory workers is significant making it possible to foresee a future where tasks that require meticulously controlled physical contact, i.e. drilling or screwing will be carried out by robots. The intuitive user interface of the app based software further impressed our engineers as they were able to set up the robot in no time. 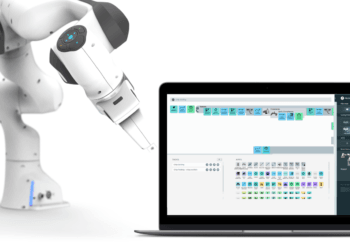 Whether you decide to use the pre-programmed motions or create your own just by moving the robot with your hands, it is just as easy to copy the code onto another Franka over the cloud. Since ease-of-use is a core value here at Pick-it – robot applications should be easy to develop, shouldn’t they – we felt an immediate connection with the platform. Like Universal Robots and their paradigm shifting collaborative robot, the Franka platform looks to play an important role in further extending the market for cobots. We are looking forward to the launch of the Franka developer framework so that we can start work on a Pick-it Franka app, like the Pick-it URcap we created for Universal Robots already.